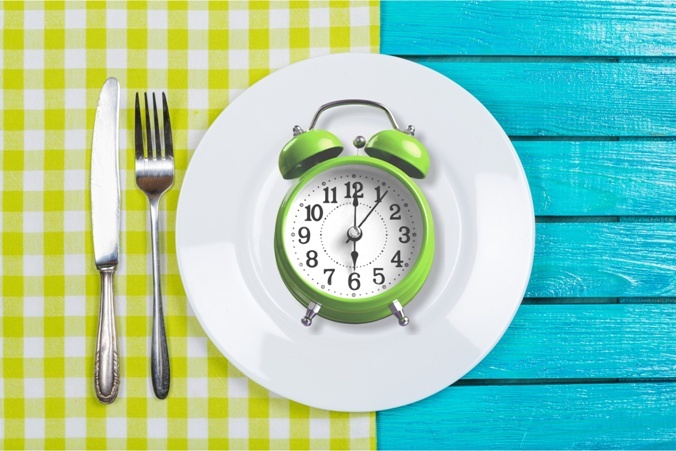 Researchers define fasting as the daily intake of less than 25% of ones total caloric needs. There is no exact way to fast. The following are options to consider. Eating food within a certain time of the day. You can decide to fast daily or every few days. Some people will do an extended 3-5 day fast monthly and maintain daily 16/8 fasts the rest of the month. Others may do a 24 hour fast during the work week and then eat 3 meals on the weekend. During the feeding period, it is important not to restrict your calories. Remember, this is not a calorie based diet. Eat until you are comfortable. Of course, it is important that when you eat, you are focusing on high quality, non processed, non GMO, calorie dense foods with plenty of colorful vegetables. Taking a high quality multivitamin/multi mineral supplement. Limiting your liquid calories making sure you have herbal tea, bone broth, black coffee +/- MCT oil and filtered water to be consumed during the fast. Remember to stay well hydrated with non caloric beverages (listed above). You can add Himalayan salt to your water or bone broth if you start to feel a little dizzy as your body may need the minerals. Add Magnesium or Epson salt baths if you start to have muscle cramps or constipation. If constipation develops, you can increase your fluid intake; add higher fiber meals, aloe vera, and smooth move teas. The more you train your body to fast and become metabolically flexible the less hunger you will develop. In the beginning however, you may need to employ lifestyle strategies to deal with this sensation. Hunger comes in waves so try and ride it out by drinking more fluids and keeping your mind busy. The best time to begin your fast may be during a busy work day when you would not likely eat anyway. Also ask yourself, “Am I hungry or just stressed and want to eat to cope?”. If the answer is the latter, try deep breathing, aromatherapy, or mindfulness techniques. Better yet, go out and get some fresh air and do some grounding. These techniques can increase your “feel good” hormones to help you cope with the stress. Try to avoid the kitchen, especially when you begin to fast. Eating around 6 pm will allow you to beat the rise in the hunger hormone, ghrelin. Ghrelin tends to spike in the evening so try and have a meal to suppress its production and thereby limit the desire for nighttime grazing. Add medium chain triglycerides (MCT) oil to your AM coffee which may create a more comfortable fast. And finally, if you find yourself having difficulty during your fast, STOP the fast and eat something. Grab a handful of almonds or proceed with your meal. If you are doing an extended fast more than 3 days, break the fast gradually with broths and soups. After a few days, add low carb smoothies and light meals before incorporating your full meals again. As fasting is a lifestyle, it is important to fit fasting into your life and not vice versa. Think about where and when it makes sense. There is no one way to fast. Make it work for you and enjoy the health benefits. And by the way, it’s FREE!